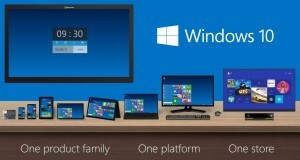 All Microsoft Operating System windows deal with FAT, FAT32 and NTFS File System. 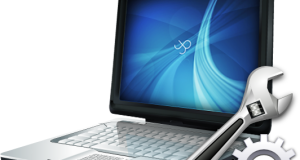 The most common and popular file systems we usually use are FAT32 and NTFS. Hard drives are generally formatted in NTFS File system, but Flash/Pen drives are generally formatted in FAT32. One of the common reason people choosing NTFS File System over FAT32 is that you can’t copy large files to the FAT32 drive (file cannot be larger than 4 GB). Regardless of what reason you want to convert FAT32 to NTFS, converting file system is very simple using either of the below two illustrated methods. File system is a method for storing and organizing computer files and the data they contain to make it easy to find and access them. File systems use a data storage device such as a hard disk or CD-ROM and involve maintaining the physical location of the files. 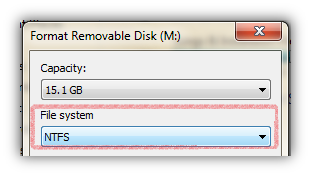 NTFS has several improvements over FAT32. NTFS has advanced data structures to improve performance, reliability, disk space utilization and security access control lists. File Allocation Table or FAT is a computer file system, widely used on computer systems and mostly used on memory cards and Flash/Pen Drives. Basically, FAT File System is an old file system architecture which was used in earlier Computer system, and NTFS is new and improved File System used in almost all modern computers today. NTFS is a preferred File System used by Microsoft Windows Operating Systems. How To Check File System? To check File System of any particular drive. Open My Computer –> Select the Drive and Press Alt + Enter or Select the drive and right-click on mouse and choose Properties. 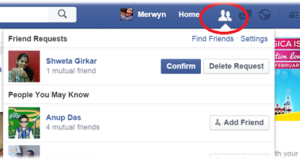 Navigate to General Tab and check File System. If your drive is FAT32 and want to convert the drive to NTFS, you can reformat the drive using the NTFS file system. While formatting drive, make sure you don’t have any important data on your drive, or you have copied your data to other locations of your drive. Since this method will reformat the drive deleting all the data on the drive partition. Note: After formatting the drive all the data in that drive partition will be lost. 1. 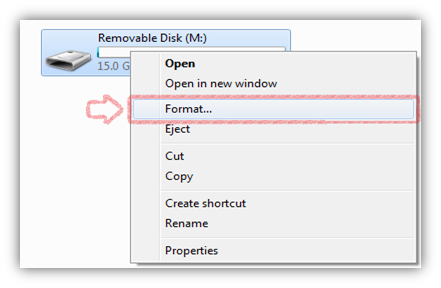 Open My computer –> Select the drive and right-click and choose “Format” option. 2. Now, Choose File System as NTFS and Click Start. Once Drive Format is Complete, you should have a clean drive with NTFS File System. If your drive is FAT32 and want to convert the drive to NTFS, but the drive has tons of files and cannot be moved to other drives, then the best option is to convert the drive using this method. 2. Type the below command at command prompt. 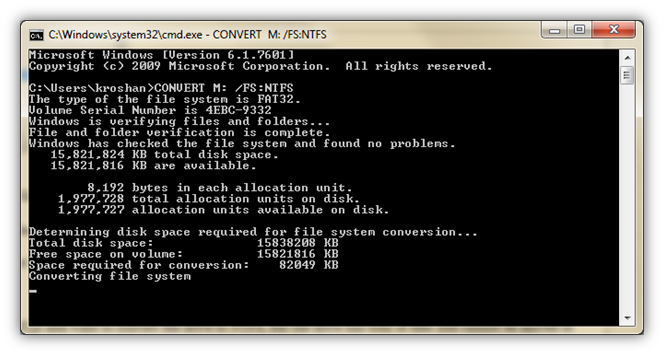 Here, Convert is a command, M is drive letter to convert and /FS:NTFS specify the drive to be converted to NTFS. The conversion process might take a while or more depending on the drive size. Once conversion is complete, you should see the file system for that drive as NTFS. i have drive with Fat 32 and wanted to convert to NTFS.i used first method bcoz all data inside my drive was useless.Thanks, now i have a fresh and clean drive. I was wondering why i can't assign access protection Now i understood.I had Fat 32 and Converted to NTFS now using method 1.